Rain early...then remaining cloudy with showers overnight. Low 42F. Winds NNE at 5 to 10 mph. Chance of rain 90%.. Rain early...then remaining cloudy with showers overnight. Low 42F. Winds NNE at 5 to 10 mph. Chance of rain 90%. Prior to my decade of service as state legislator, majority and minority leader, I was fortunate to serve as a Head Start teacher in my hometown of Butte. It was teaching in preschool classrooms where I first saw the transformational changes possible for Montana's kids. In my classroom, I came to learn what so many other teachers and administrators know to be true still today. There are just not enough preschool classrooms to meet the demand of parents who want to ensure their kids are well prepared for kindergarten. Too many Montanans are stuck in the middle; they either make too much to send their kids to Head Start, or not enough to afford childcare. For those that do qualify for Head Start, a long wait list often prevents kids from ever getting the early childhood education they need. The governor secured federal funds through the Preschool Development Grant which opened the doors of possibility to thousands of our earliest learners. And with bipartisan support from the Legislature in 2017, Governor Bullock spearheaded the two-year STARS Preschool pilot which serves more than 300 kids in communities all across the state. Without a solution by the legislature this session, these classrooms will close their doors or severely cut services. In reality, this means that 1,400 kids won’t have preschool classrooms to go to next fall. This Legislature had a bipartisan solution to maintain our current investments, and starting in 2020, the opportunity for additional investments and make permanent publicly funded preschool in Montana. Unfortunately, that bipartisan solution died in the House Education Committee. Publicly funded preschool investments work best when all classrooms — public or private — meet the highest-quality standards, teachers have specialized training in child development, and public schools, Head Starts, and private providers all have the opportunity to create successful programs in line with the same expectations for quality. As one of the many Montana teachers, and someone who sponsored the Senate bill that brought full day kindergarten to Montana's youngsters, I am hopeful that the 2019 Montana Legislature will prioritize our youngest Montanans. At the very least, we must maintain the preschool classrooms we have now. All kids in our state deserve this a chance to learn regardless of their parents' income. The Montana Legislature must find a solution this year. 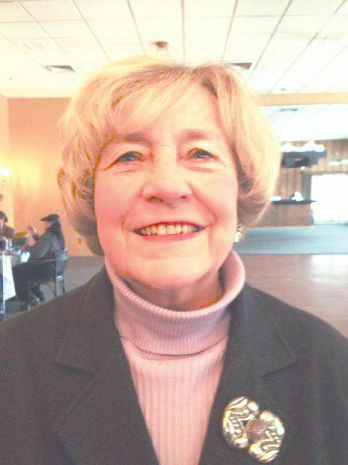 Carol Williams is a former majority and minority leader of the Montana Senate.